The next Single Player Injustice Mobile challenge is here. 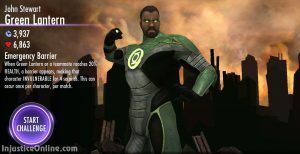 You get the chance to obtain the very rare and very valuable John Stewart Green Lantern gold characters. 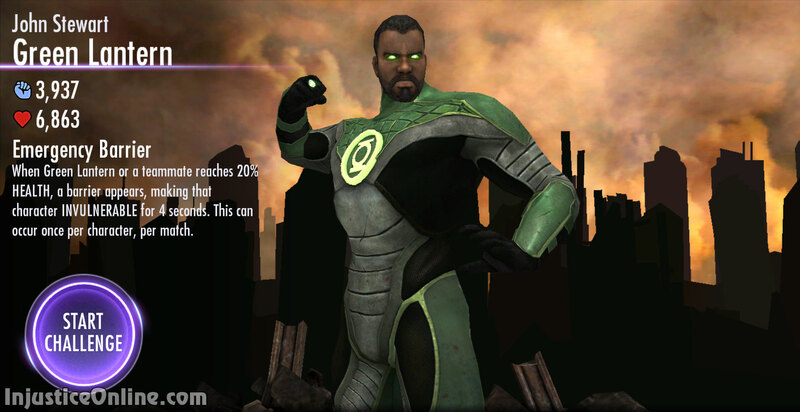 John Stewart Green Lantern comes right from the console version of Injustice: Gods Among Us, where he is one of the skins for Hal Jordan Green Lantern. 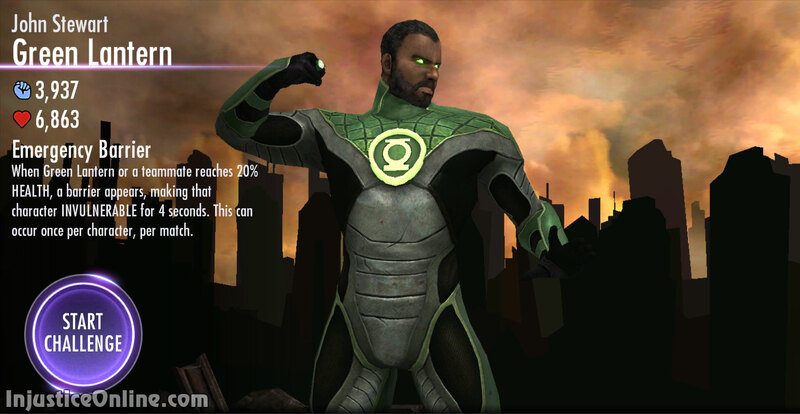 Description: When Green Lantern or a teammate reaches 20% Health, a barrier appears making that character invulnerable for 4 seconds. This can occur once per character, per match. 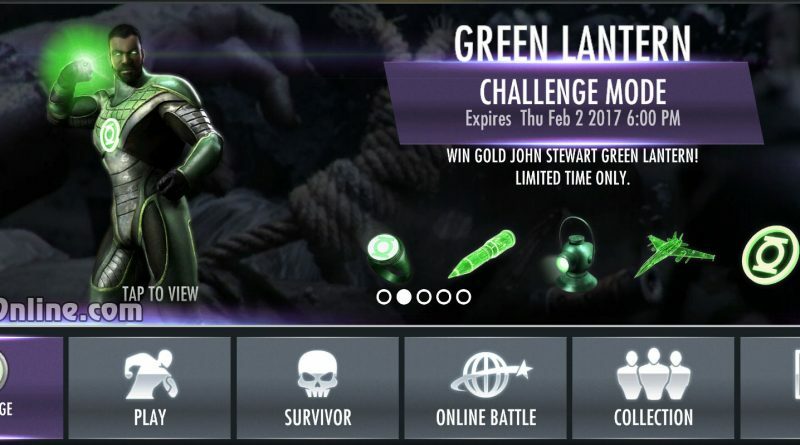 To beat this challenge you must have Nightwing and Doomsday on your team. There are Bronze/Silver versions of both of them so this condition should not be a problem even for newer Injustice Mobile players. 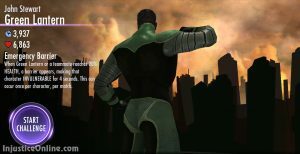 Additionally you must also have at least 3 Regime characters on your team in order to complete step 4 of the challenge.